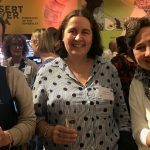 A parent from the Dyslexia Victoria Support Group tells me the title of this blog post is one of the main questions asked on their Facebook page. Sad, eh? But teachers are good people, and the system fails them too. How frustrating to have kids in your class who you’ve never been taught how to teach to read/spell, year after year! So let’s just get on with fixing this problem, so we can put this question out to pasture. Most teachers are taught and equipped to teach early literacy in ways that set up around 20% of students to fail. The most common approach is called “Balanced Literacy“, a dog’s breakfast of approaches that contradict each other, don’t make much linguistic sense and aren’t based on the best evidence. Years of “Balanced Literacy” and its even-worse predecessor, “Whole Language”, in our schools mean that it’s now considered completely normal for about one in five children to not learn to read for a whole year or more, despite trying their hardest. As Dr Louisa Moats says, we need to be outraged about this. Parents are told to “wait and see”, and that intervention will be provided in the following year, but the intervention is often Reading Recovery, so it’s not likely to help long-term (click here and here for details). Other programs based on Balanced Literacy logic such as the widely-used Leveled Literacy Intervention (Fountas and Pinnell, which to my knowledge has no peer-reviewed research support), ditto. After a couple of years of miserably watching their child struggling and failing, parents are typically advised to pay nearly $1000 for an assessment to identify the source of the problem. A more honest and fair system would also assess the curriculum. “Balanced literacy” is frankly toxic for many children, and should IMHO not be served in schools. We ban nuts from schools because of their serious consequences for a minority of children. Many children never have this assessment, or have it much later, because their parents don’t have a spare $1000. IMHO these assessments should be available for free at government schools. If schools have one job, it’s teaching everyone to read and write. Finding out why some children are hard-to-teach is part of succeeding at that one job. Before forking out big money for a private assessment, see if your school has a Psychologist, Speech Pathologist or other expert who might be able to do at least some of the testing. The end product of the assessment is typically a long report detailing the child’s problems with phonemic awareness, decoding/spelling pattern knowledge, working memory and/or rapid automatised naming, with or without other language/learning difficulties. Sometimes it includes the D-word (dyslexia) and sometimes it says Specific Learning Disorder or similar. This diagnosis can be a great relief. At last, an explanation other than the (thankfully) usually-unspoken “this child might be lazy or stupid”. Unfortunately, the diagnostic process also tends to firmly locate the problem in the child, absolve the school of any failure to screen and teach according to the best evidence, plus it tends to hand responsibility for solving the problem over to the parents. Parents naturally want the school to take back, or at least share, this responsibility, but schools often don’t consider themselves adequately skilled or equipped. Try asking a school librarian where the decodable books are kept. You’ll probably get a blank look, because librarians aren’t taught what decodable books even are, and the school probably has few or none. * Fortunately at least in Victoria, all teachers are now being required to undertake special needs training. Once a child has had an assessment, most schools will organise a support group meeting and propose an Individual Learning Plan (ILP). In my experience the draft goals on the plan usually reflect a Balanced Literacy approach, i.e. more of the same stuff that didn’t work last time: memorisation of high-frequency words, multi-cueing, etc. Of course. That’s what schools know and are equipped to do. It can be hard to look your child’s teacher in the eye at an ILP meeting and say that their proposed goals and strategies aren’t appropriate for your child. However, a diagnosis of dyslexia or something else serious and medical-sounding allows teachers to say, without loss of face, “I’m not a dyslexia expert so I’m not really sure what the goals should be”. This provides an opening for parent(s) to bring in goals and strategies recommended by someone who is an expert. In an ideal world, these would be clearly spelt out in the recommendations of the $1000 report, not something for which parents have to pay extra. Sadly that’s not usually the case, and useful details about a child’s phonemic, graphemic and morphemic skills and knowledge evident in the assessment session(s) usually aren’t available for those planning intervention. If schools all had clear, detailed spelling scope and sequence documents, and thus a clear idea of which spelling skills and knowledge they were teaching to each year level (like the one in the UK National Curriculum) it would be a lot easier for them to understand the needs of students who struggle with encoding/decoding, and pinpoint and target their missing skills and knowledge on ILPs. Unfortunately spelling/word structure is perhaps the most poorly-taught of all the key skills. Universities focus on word meaning not word structure, and Education Departments and mainstream publishers don’t do much to fix this. The average teacher can’t tell you why we double consonants (e.g. why there is a double T in “better”, “cattle” and “hitting”) or why the “sh” sound in “action” is spelt TI (keeping the “act” in “action”). This is in no way teachers’ fault, they’ve been very busy learning the millions of other things the system does value and require. English spelling is very complex, but eminently teachable (here’s my daggy 15-minute video explanation of it). At present, the typical spelling list could have been designed to teach children that English spelling is difficult and random. It makes no clear or useful point about spelling. High-frequency word lists tend to be taught in order of frequency, not grouped by spelling pattern, and otherwise spelling lists are usually actually vocabulary lists, which too often are rote-memorised for a test, then forgotten. Most spelling tests answer the question “is this student behind their peers?”, not the question “what does this student already know about sounds, spellings and word parts, and what should I teach next?”. The latter is the question which needs to be answered before writing ILP goals. Here are some example encoding/decoding goals and suggested strategies/resources to achieve them. 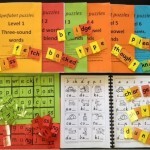 Many good synthetic/linguistic phonics programs include tests which help you choose a starting point for a student, for example there are useful and quick assessments of basic sound-spelling knowledge in the SoundCheck books, which many schools already have, buried somewhere in their libraries or in a pile on someone’s desk. The computer-based test Spell-2 generates a list of teaching objectives and tells you which modules of the associated word study curriculum to use. I now have both this test and curriculum if anyone wants to take a look at them, or wants their child to do one or both. They’re American, so need a little adapting to Australian English, which I’m working on now. If a school isn’t making the accommodations a child needs to successfully learn to read and spell, and insists on ILP goals like rote-learning “sight words” visually via flashcards and look-cover-write-check (argh), parents have two options. They can change schools or play hardball. If other children in the family go to the same school and are doing well, or there are many good things about the school, hardball can be a good option. Think of it as working with them to lift their game. To play hardball, you must know your rights under the relevant legislation and standards. The Nationally Consistent Collection of Data on students with a disability is a way of making schools accountable for meeting the requirements of the Federal Disability Discrimination Act and the Disability Standards for Education. Students with diagnosed learning difficulties are protected under both the Act and the Standards, as ”a disorder or malfunction that results in the person learning differently from a person without the disorder or malfunction.” They are eligible for at least two of the four adjustment categories under the NCCD: support provided within quality differentiated teaching practice and supplementary adjustments. Print out the relevant bits of the Act, Standards and NCCD and take them with you. Take someone else with you if need be, either a professional who can advise on suitable goals, programs and adjustments, or just someone with whom you’ve discussed your child’s problem and the type of intervention required, who can help you get your message across and provide moral support. Breathe deeply, state exactly what your child needs and is entitled to, be nice but don’t take no for an answer. 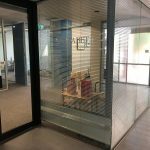 Remember that complaints procedures exist (here’s how schools are meant to respond to parent complaints in Victoria, and here’s the Education department’s complaints procedure if you need to escalate the matter). If you do decide to change schools, as well as considering the usual school choice advice, make an appointment with the Principal of any new school you’re considering, to talk to her or him about your child’s skills and needs, and what the school offers. Ask about the programs they provide for students with your child’s type of difficulties, and the evidence behind them. Remember that almost everything in education “works” to some extent, just as sugar pills in medical trials have a placebo effect. What your child needs is one of the BEST programs available, with proper scientific research backing. Ask for a copy of this research. Ask about how the school adjusts teaching to accommodate children like yours in classrooms, who provides learning support, when and how, and whether they have other services your child may need, such as counselling. Ask whether any other children the same age as yours have had similar difficulties, and what the school has done or is doing to help. Anyone who has successfully worked to address the needs of a child with a learning difficulty at school, please leave your comments below. I’m happy to update this blog post to make it more useful to future readers, based on reader insights/feedback. 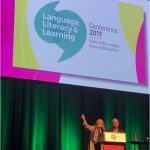 *I’ve written an article about decodable books for the next edition of the Australian librarians’ magazine, INCITE, hoping to encourage them to purchase more decodable books. This entry was posted in assessment, curricula, literacy problems, teaching strategies on January 22, 2016 by alison. Brilliant. Absolutely nails it. We have the knowledge to train teachers and help kids; we have the laws to make such help mandatory. Now we need to make it happen. This is an all-too-sad yet prevalent scenario. You’ve summarised it so well. Parents can be left feeling confused, bewildered and desperate. It really is not surprising that private non evidence-based treatments flourish and the neuro-babble industry thrives as parents just want to feel they are doing something productive for their struggling and often very unhappy child. Would you consider sending this to a major newspaper for publication? Thanks as always Alison. The Reading to Learn approach is the best in the world. It was designed initially for Indigenous students, following on from the Commonwealth ‘What Works’ Project. It trains teachers over 8 days in post-graduate levels skills of language and literacy, using high quality curriculum texts. The high quality, enjoyable texts that the children are scaffolded to read then become the model for writing their own text. What results is high quality writing and deep levels of comprehension for ALL students. 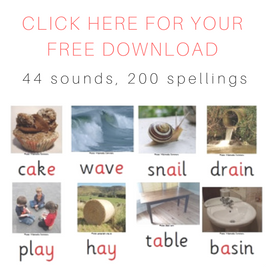 Dear Kate, my website is about explicit, systematic, synthetic phonics teaching and how the phonemes, graphemes and morphemes of English are too often overlooked or covered inadequately in teaching beginning and struggling readers/spellers. 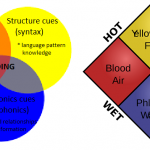 Reading To Learn looks more like a Whole Language type program, I can’t find the word phonics anywhere on the website. 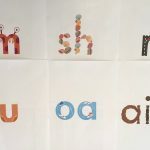 We know that good decoding/encoding plus good oral language are the foundations on which children build their fluency, vocabulary and comprehension of print, and that some children will not be able to decode/encode unless these tasks are broken down for them and taught in small steps. I completely agree, we have to turn this ship around and make sure all teachers who are teaching early years classes understand how our spelling system works so they can teach it in a logical and systematic way. This is the perfect post for ‘back to school’ anxious parents. It is reassuring (and alarming) to read your accurate assumption of a schools response to this question – very familiar to me and by your account many others! Thank you for the advise. We’ll see how we go. So sorry to hear schools haven’t been able/willing to meet your son’s needs, Sam. I hope that you soon find some things that work for him and for you. Thank you I found this information very helpful. My frustration is with the lack of any inbuilt supports, and with the lack of funding. weve been asking for a repast WISC (at the request of her paed) because she was 5 when the first happened – and recommended follow up by 7. She’s nearly 9 and still waiting. The school have been pushing hard, but she’s “low priority” to the district. There is no funding attached to a diagnosis- so no aid in the classroom to help with decoding required tasks. We’ve had auditory processing, visual processing, speech, WIPSSI testing done- all showing her key issues… none of it has made any damn difference. Hi Jennie, that does sound extremely frustrating, especially since for a child who is not reading words well, the things you first need to know about are phonemic awareness, word reading (regular, irregular and nonsense words), spelling, working memory and rapid naming skills, which are easy enough to assess in an hour. If they’re low, there is not a lot of evidence that a huge amount of extra assessment is required before intervention should commence. Hi Alison, so glad I came across your blog today. Next week I am attending a meeting with a parent and Deputy Principal after a disastrous ILP meeting. My role to advocate for the student. I plan on bringing out the big guns and quoting some legislation and reinforcing the need for evidence based practice. Unfortunately we are in the position where we need to play hardball.